Nov 8 (AZINS) As many as 6,50,75,877 shares of 20,323 Pakistanis estimated at Rs. 3,000 crore left behind at the time of Partition in 996 Indian companies in the Stock Exchange will be now sold by the Central government. 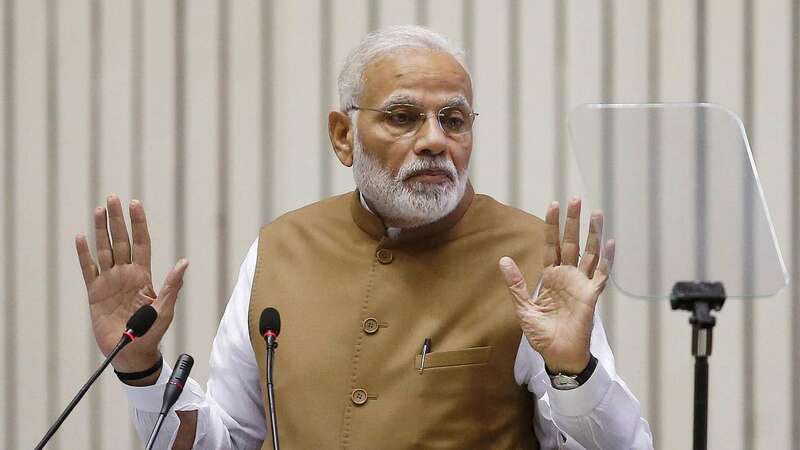 While the government had seized these shares after 1965 and 1971 wars and declared them as “enemy shares”, Prime Minister Narendra Modi government on Thursday decided to de-materialise them and use their proceeds for development and social welfare programmes. The chapter of their returning to their owners in Pakistan or their legal heirs anytime now stands closed. Union Cabinet which met here in evening under PM Modi approved sale of this shares which were under the custody of Custodian of Enemy Property of India (CEPI) under Ministry of Home Affairs. The Cabinet note stated the Department of Investment and Public Asset Management has been authorized to sell the same and deposit amount in the Government Account under disinvestment proceeds. Out of 996 companies, 588 are functional/ active companies, 139 of these are listed with remaining being unlisted. Value of all these shares is estimated to be over Rs 3000 crore. The owner of these certificates, the Office of the Custodian of Enemy Property, is entrusted with properties that include share certificates seized after the 1965 and 1971 wars. Most of these holdings are said to be of people who were Pakistani nationals at that time. According to Cabinet note, the shares had been lying dormant for decades since coming into force and the Enemy Property Act in 1968. Pakistan government had often raised the issue in the past to transfer these shares to the legal heirs now living in Pakistan. But off late it had also lost steam to claim these shares. After Modi government took office, it succeeded in brining an amendment in 2017, that authorized it to dispose enemy property. With the approval, now, of the procedure and mechanism for sale of enemy shares an enabling framework has been institutionalized for their sale. The shares sued to throw up more than Rs 40 crore only in income every year now, including dividends and rents. The companies included many blue-chips, including Tata Steel, Wipro, Nelco, Unit Trust of India schemes, Shaw Wallace, United Breweries, Birla Corporation, Grasim Industries, ACC, India Cements, Digvijay Cement, Hindustan Lever, State Bank of Bikaner and Jaipur, State Bank of Hyderabad, NEPA Mills, Poddar Mills, Kohinoor Mills, Phoenix Mills, JK Synthetics, Cipla and Ashok Leyland.